When living in a small village in Iceland, visitors often ask us about what we do in the winter. Many even wonder if it is possible to live here in winter. And it’s not just the tourists, even people from Reykjavík sometimes wonder how life works outside of the city. Here below I hope to be able to shed some light on the life and culture in rural communities in Iceland. As in all of Iceland, summer is the time where work schedule is irregular due to the workers taking turns going on vacation. But when winter comes, everything returns to the everyday routine. Among the questions we hear quite frequently is “how do you make a living?”. To answer that question we must first understand that every community, big or small has the same basic needs. We all need access to health care, groceries, law enforcement and so forth. But in small communities, it may not always be possible to have a full-time job providing some of these essential services. For this reason, many people in small towns will be wearing many hats along the way. The cashier at the store may also be driving the ambulance, the farmer may also drive the school bus, or the car mechanic may also work as substitute police some weekends. To give a few examples of the kind of jobs people do in small communities I can mention, teachers, hotel workers, farmers, fishers, builders, doctors, dentists, engineers, designers, musicians, psychologists, veterinarian and many more. Lately with Iceland’s increasing popularity among tourists, many have turned to tourism service jobs. As such, tourism has created many new opportunities in small communities in rural Iceland. The increasing traffic around the country has for example, given store owners the possibility to have more extended opening hours. This, in turn, favors both the locals and the visitors. One of the most critical aspects of a community is the school. Every community in Iceland has a school for children age 6 to 16. After that, you have to go to school in larger towns if you want to continue with your education. When the school starts in fall around August 20, it has a significant effect on the life of a small community. It creates structure and routine to life in the entire town and the surrounding area. If summer is the time for festivals in Iceland, winter is the time for organized social life. This ranges from a weekly game night playing cards and book clubs to volunteer work, choirs, and sports. During the winter time, most people living in smaller communities take part in one or more weekly activities. In East Iceland, there is also a winter festivity called Dagar Myrkurs or the days of darkness. During these days the locals in several communities make the most of the darkness of winter. This also brings a little life to this time where the days are short. Among other things, there are concerts, art shows, candle floating or anything the locals come up with each year. As mentioned earlier, volunteer work is a staple in the social life for many in rural areas. Most communities have a division of the Lions clubs, the Red Cross and ICE-SAR (Icelandic Association for Search and Rescue) as well as Women clubs. All of these organizations have played an essential role in the function of smaller communities. Both Lions and the Women clubs have gathered funds and provided equipment for healthcare, culture and sports education. Without this kind of effort, these investments would have been hard to come by. The Red Cross has a significant role in opening mass relief centers during crisis times, as well as, its more recognized role of charitable work for impoverished people all over the world. Lastly, the ICE-SAR is an integral part of the safety net in Iceland. Whether it is to search for a lost individual, assist people in danger during and after stormy weathers, or rescuing an injured person off the beaten track, they will be there. From this, you can see that those who want to have something to do always find themselves something to do. 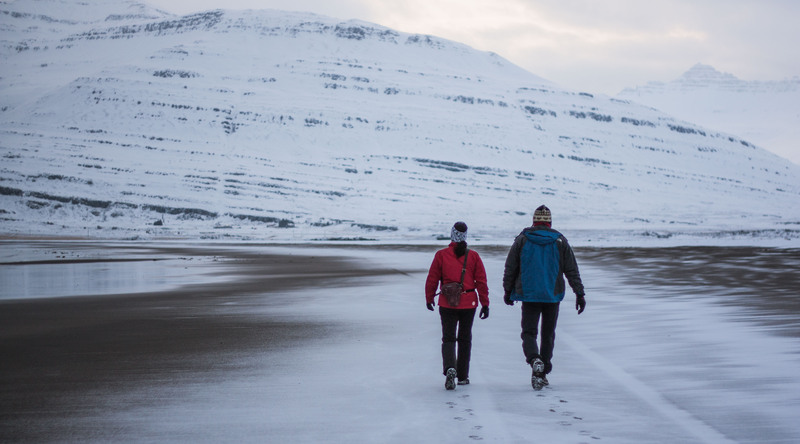 If you plan to visit East Iceland this winter, check out our article, about what to do in East Iceland during winter time. What would you like to know about the winter life in Iceland? Send us a message on Facebook or Twitter to learn more.